Style Find! 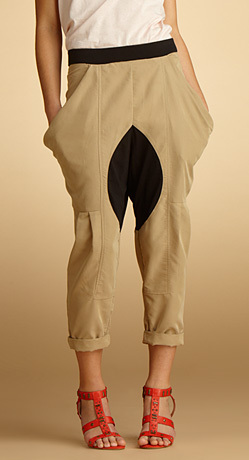 Finally...a harem pant I can work with; the crotch is not too (throwback) MC Hammer-ish. Despite what the fashion critics might say, I think this look is fresh and youthful, and can be incredibly cute with a little creative styling.